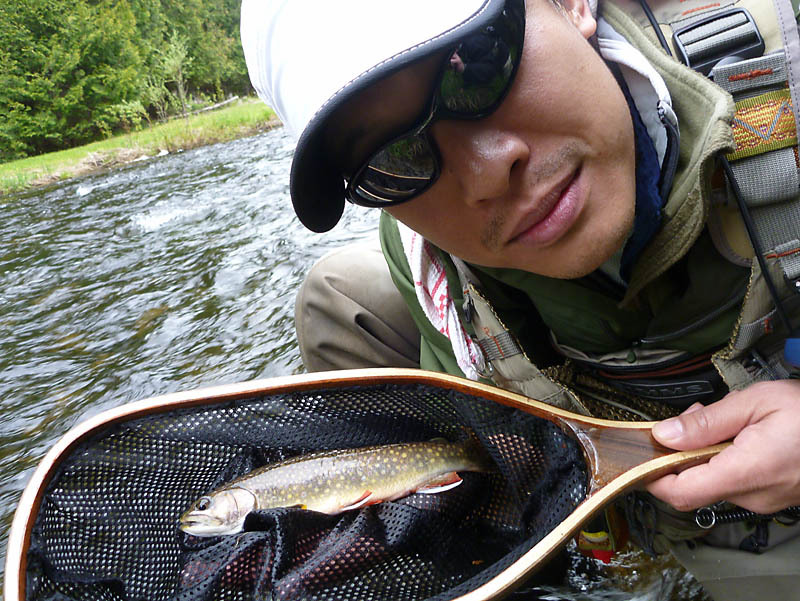 This was our second visit to the Credit River in the 2010 fishing season. 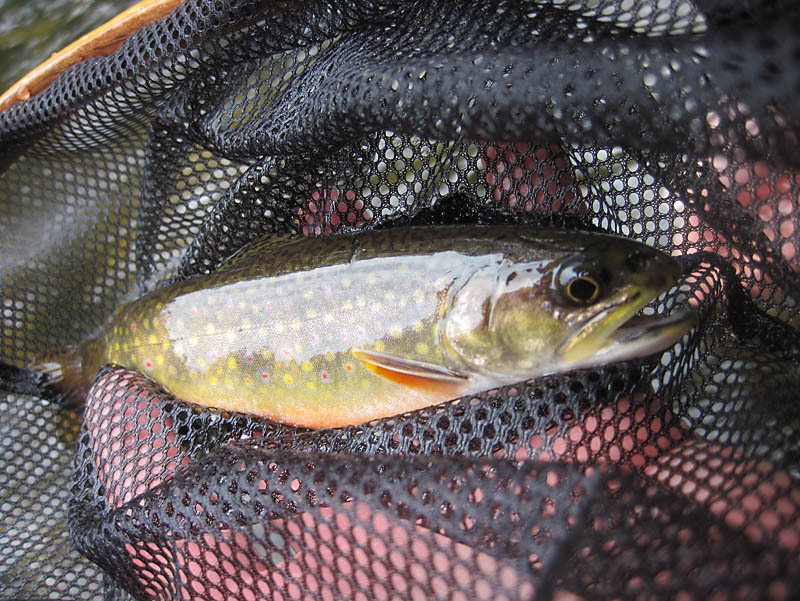 This time, we tried a new section of the river with one thing in mind: attempt to catch some brook trout! 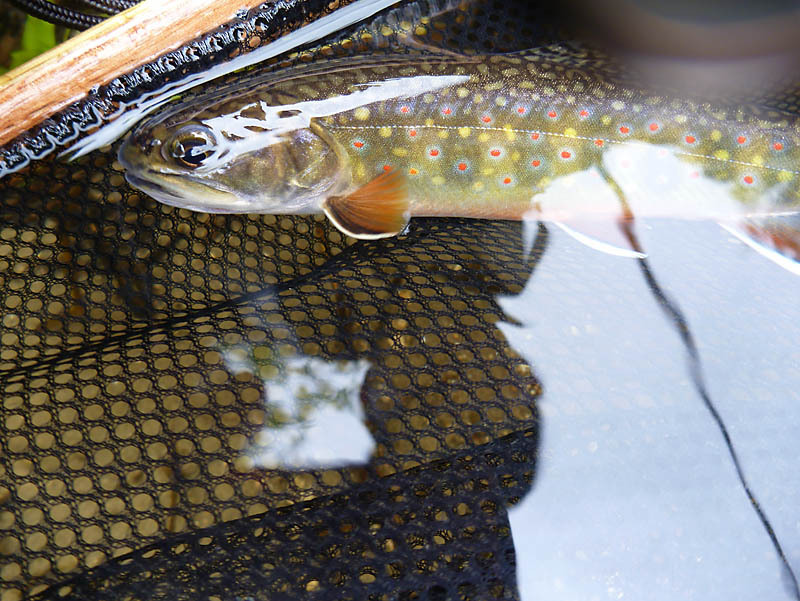 As you can see from the pictures and video below, the FAC Yeah team were successful and had a great time landing some beautiful brook trout and some nice resident rainbow trout as well! 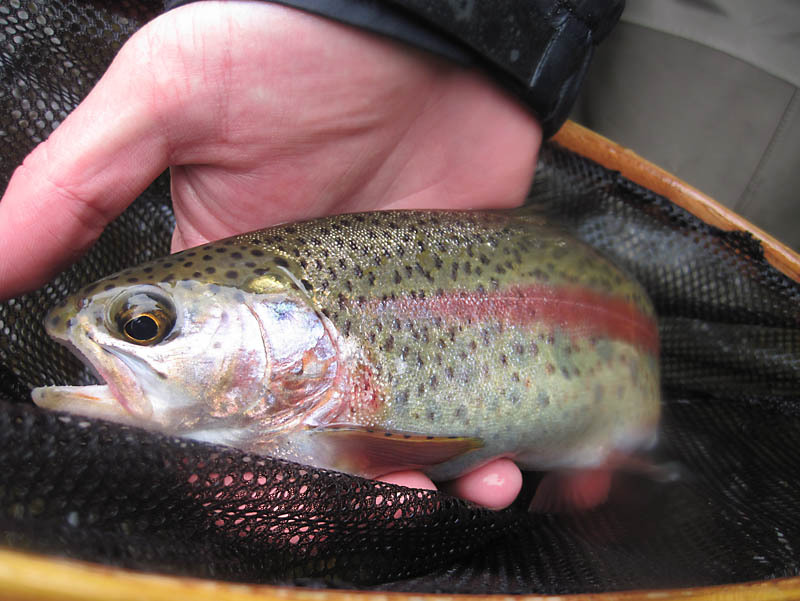 Last time on the Credit River (April, 2010) personal bests of resident fish were caught…this outing may have trumped those previous fish! Check it out! 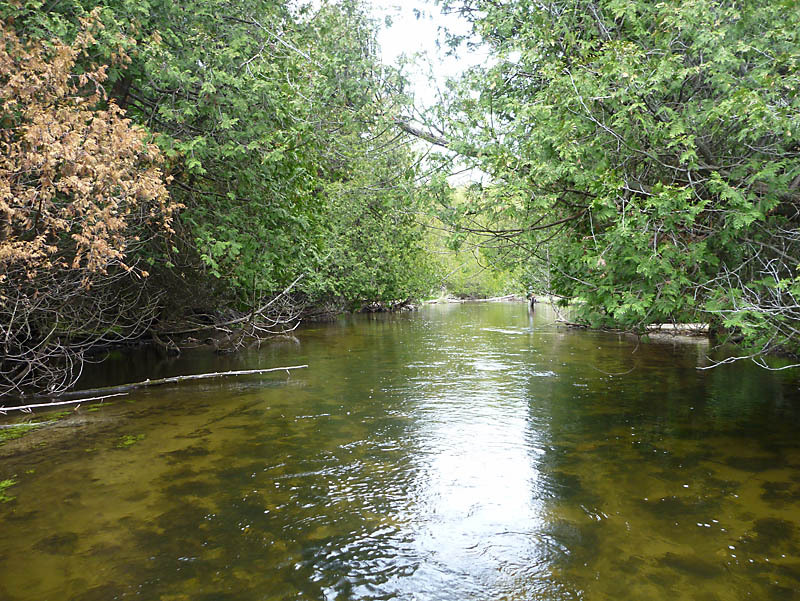 This was the general look of the water we were fishing along this stretch of the Credit River…not bad! And the water contained fish as well! 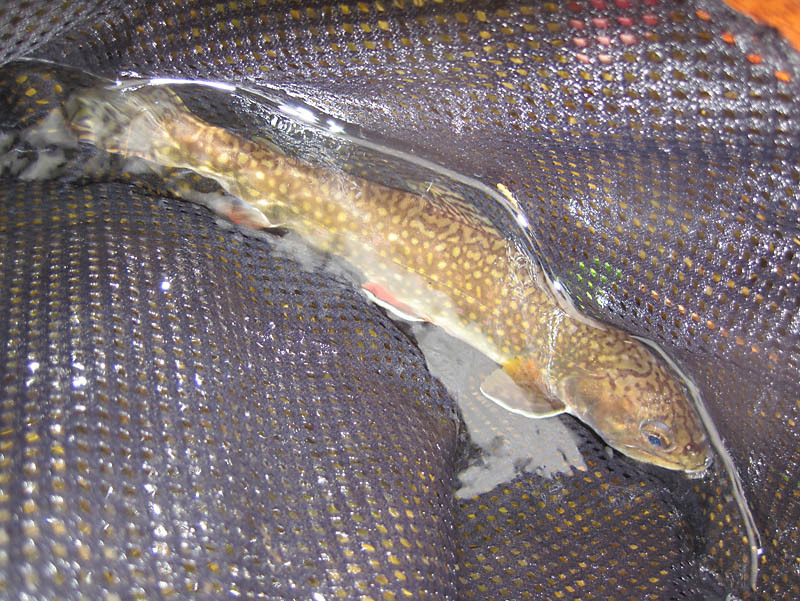 This was a close up of one of the many small brook trout that were hiding in the water. 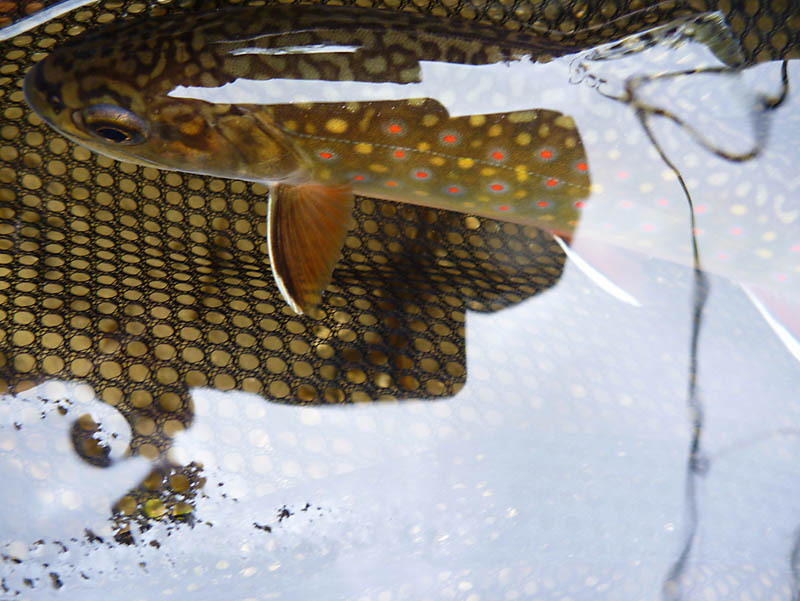 Such a beautifully-coloured fish! 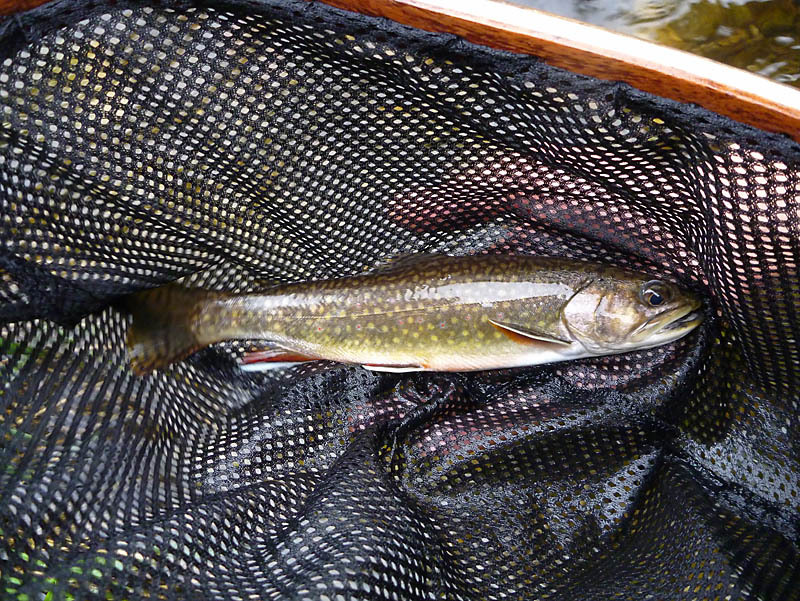 After some additional small brookies, Walter was able to land this nice-sized resident…possibly his PB! 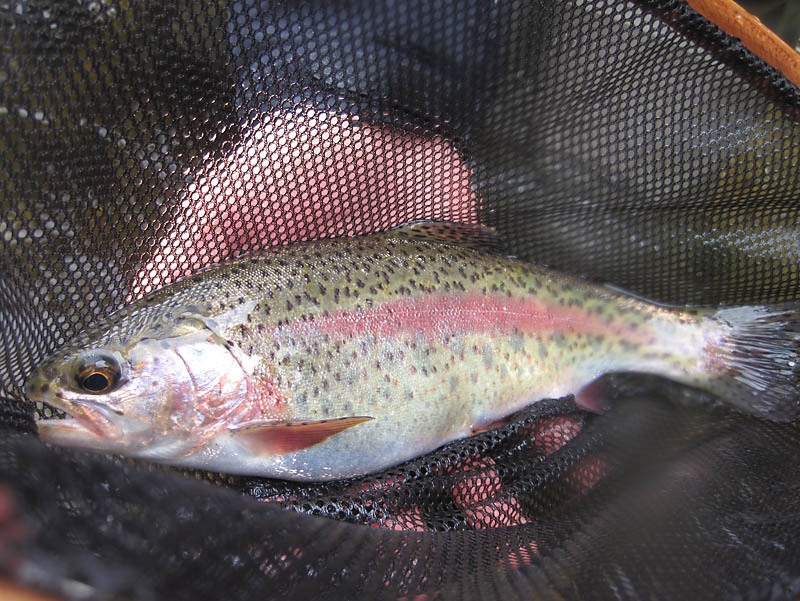 Then Steve landed his personal best resident rainbow trout! What a belly on this one. Probably full of insects! A close up shot of this beautiful rainbow. 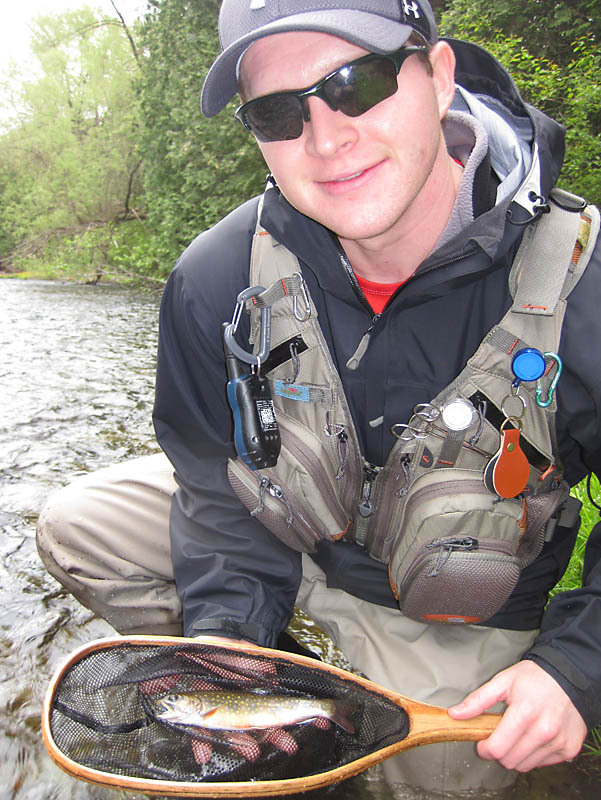 The red stripe on this fish was so bright! Look how orange the belly of this one is! Overall, the day on this part of the Credit River was fantastic! Looking at the pictures and video, how could you not agree with us? 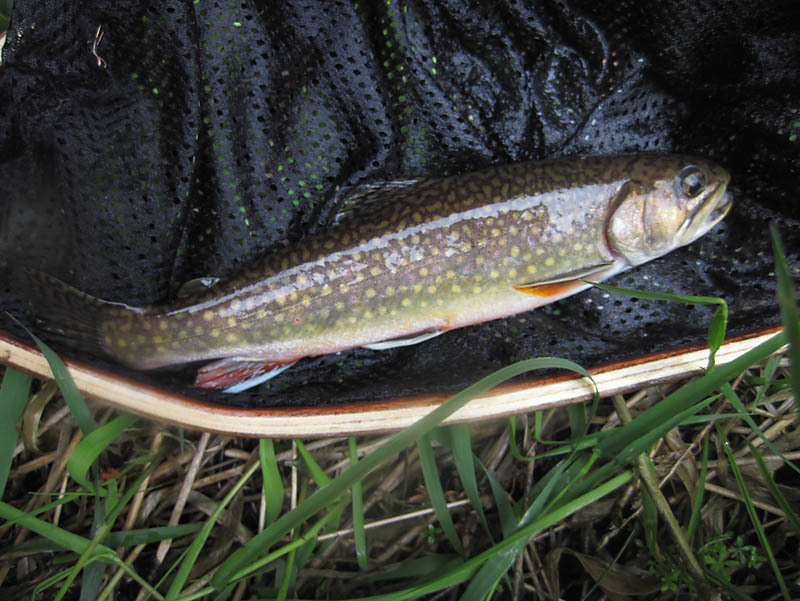 The brookies were beautiful and the personal best for Steve’s rainbow (and probably Walter’s brookie) were enough to make the day all that much better. 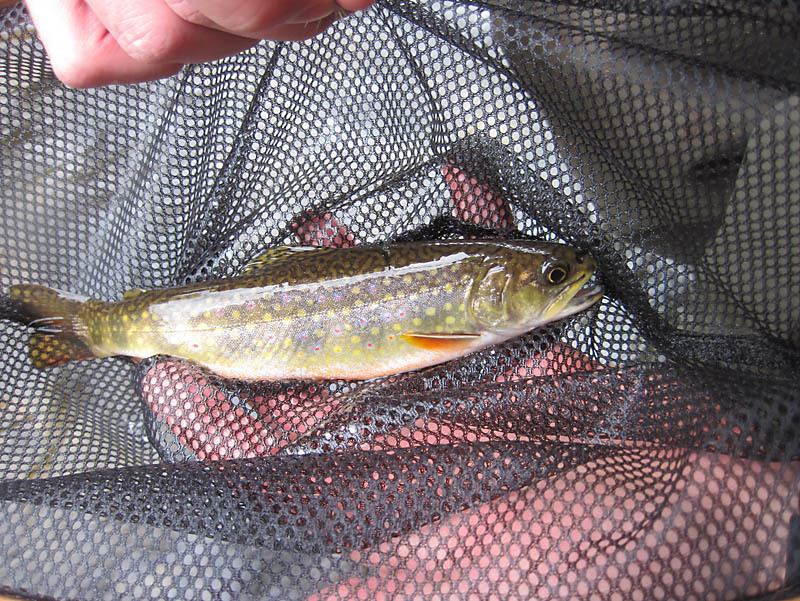 This being our second visit to the Credit in 2010, we learned one very significant thing: there is A LOT of water to cover along the Credit River system and there are some very nice, healthy fish found throughout. We hope this observation holds true as we continue to explore more of the area. We just need to figure out a way to live to be 200 years old – to give us enough time to check it all out! FAC Yeah! Great pics! 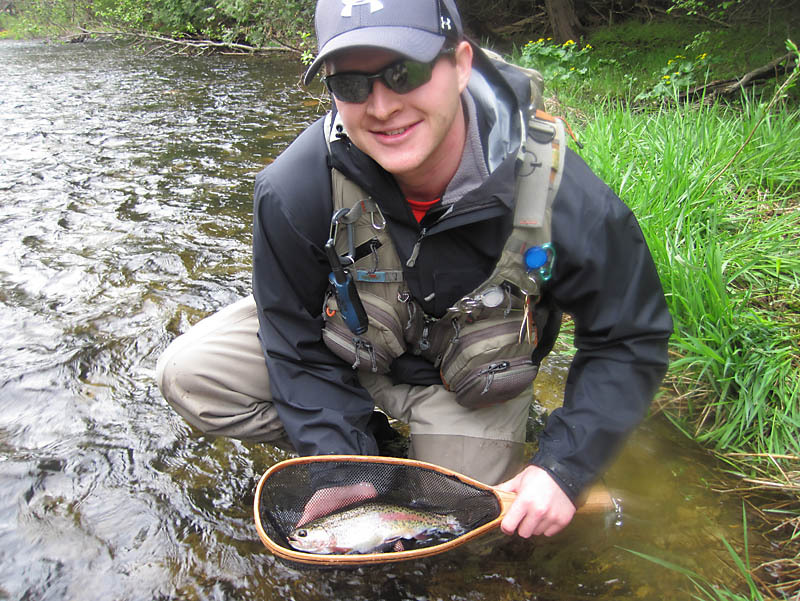 I fish in the Credit regularly in the past 6 + years. 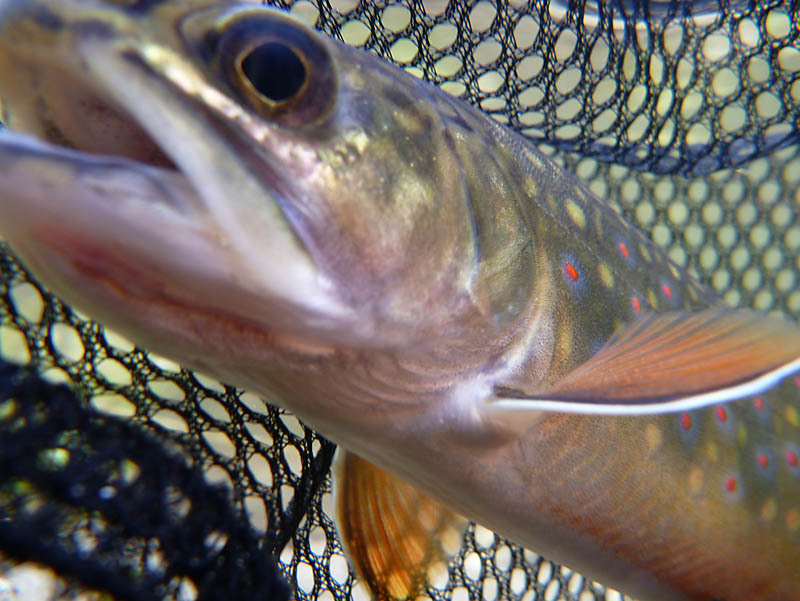 I love the sections that hold brookies. The largest I have caught has been 12 inches. Most are between 3 and 7 inches. 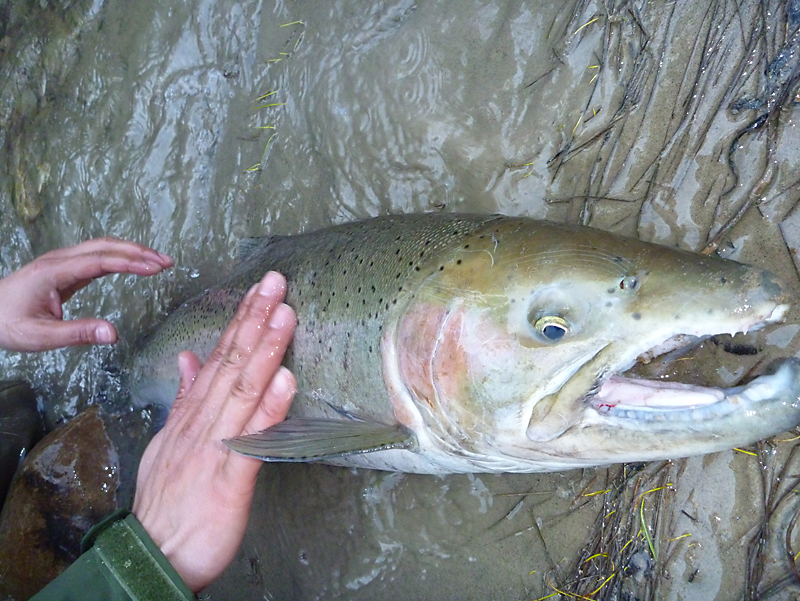 What is the largest that you’ve caught or know that someone else has caught? 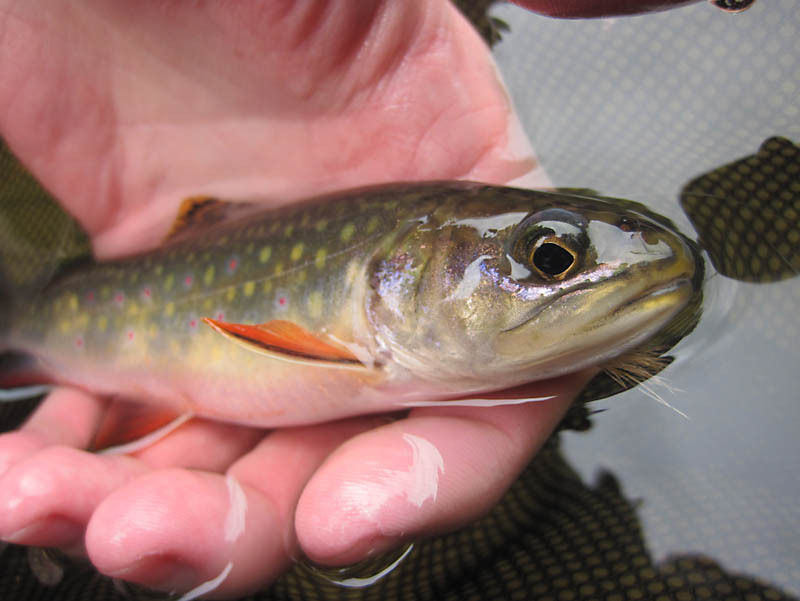 I agree with your assessment: Brookies are beautiful. Thanks for your post, Leon. 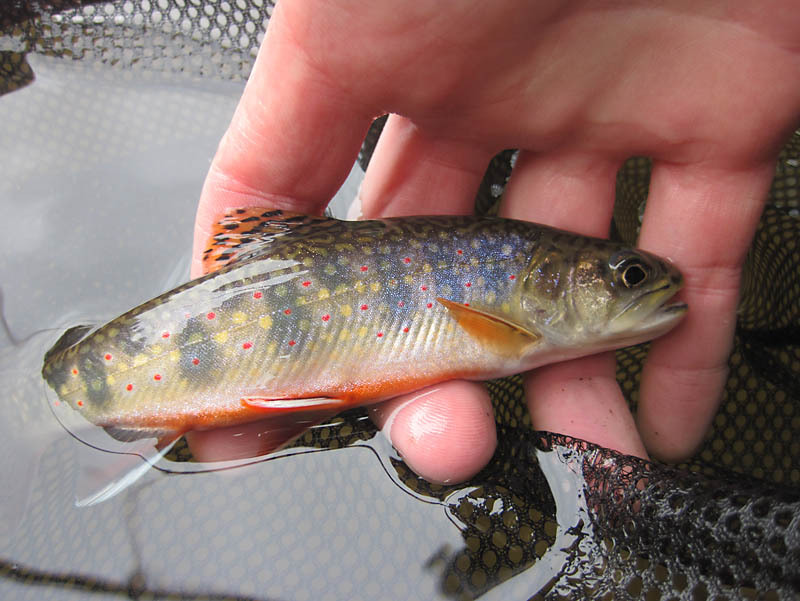 Like you’ve experienced, most of the brookies we’ve caught to date have ranged in the small size range, not getting any larger than about 10″. 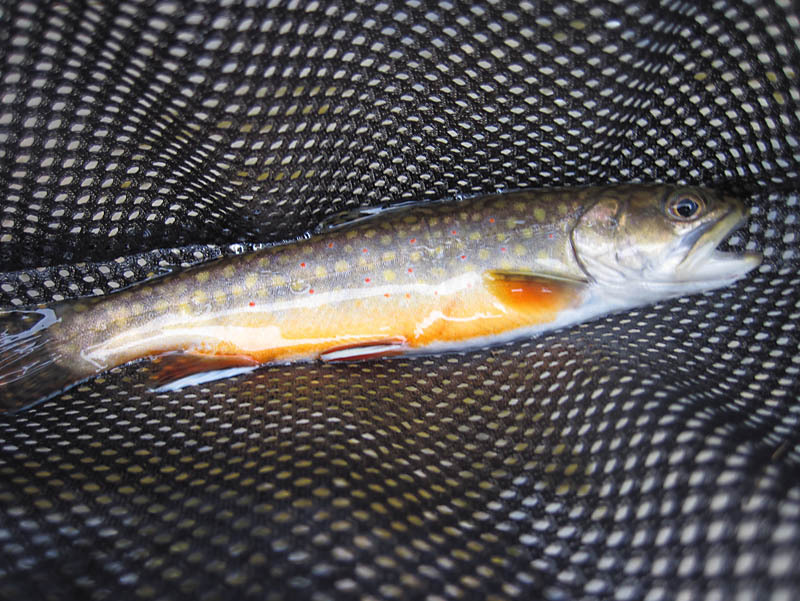 We haven’t heard too much about brookies in that river but we think there has to be some larger ones hidden in there somewhere. The problem is finding out WHERE in all that water! Copyright © 2019 Fyshing.ca All rights reserved. Amazing Grace theme by Vladimir Prelovac.